Thanks for sharing a beautiful written book I’ll recommend to my book group. Searching for Solitude is a way to appreciate and survive in chaos. 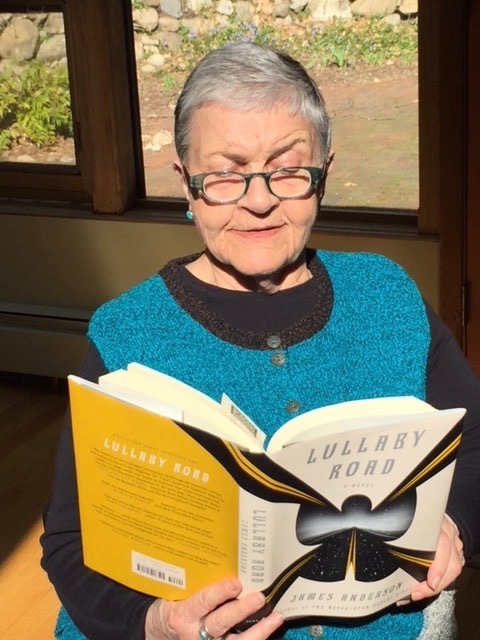 Sheila, I’m delighted that you’ll recommend Lullaby Road to your group. Yes, quiet, nature, a lyrically written book all help. So thoughtfully and beautifully written,moving. Carol, Thank you, so much, for your kind words. Ok I’m sold. Want to read them both. Thank you fir sharing. Hetty, Yeah! I’m so pleased. Thanks, Faye. It is a quiet book, which is what you’d expect from a Jewish-Native American orphan who grew up to be a truck driver in the high desert of Utah.. 🙂 I have always loved Roland Merullo’s comment about NODD (and by extension, Lullaby Road—not exactly a mystery, or a love story, or a meditation on place, but all those wrapped into one. So grateful to have your kind words. James, Roland Merullo’s words are so apt… NODD integrates all those story lines so seamlessly. I enjoyed the challenge of focusing on such a complex and “quiet” work. It was very satisfying and thus far, the response has been great. I am so in love with your gigantic heart, Dr. Faye. I want to be YOU when I grow up. Randall, you are the dearest of friends. Yes, long life to you! I hope you are well and thriving. I like the emphasis on quiet journeys: how the essay describes the act of reading about this desert “road trip,” that it serves as a preview–and even enabler–of her nightly travels into sleep, and dreams. Rosemary, yes, I like your choice of the world enable. Indeed, Jame’s use of the term “Lullaby” is so apt. Your writing about your colleague ‘s novel is so fetching and poetic that it calms and soothes the reader; in this case: me. Eva, Thank you for your kind words! Faye…oh yes i can totally been transported and taken away by a good read. I actually begin to feel anxious as i find myself closing in on the end of a novel and challenged to find yet another adventure ! Your colleagues novel seems quite compelling, so maybe that will become my next drug of choice! Hi Pat, for me, the nice part about James’s writing is that the quiet of his writing— scenes, the sense of being on an empty desert road, his voice, lingers long after. I’m glad to share if you want to dip in or take a look. I’m listening to Lullaby Road now on Audible when I take walks. I read the first book the old-fashioned way. I’ve enjoyed them both, and I am so pleased for James Anderson. I’m glad you are enjoying Lullaby Road on Audible. I imagine a live voice would deepen the experience.